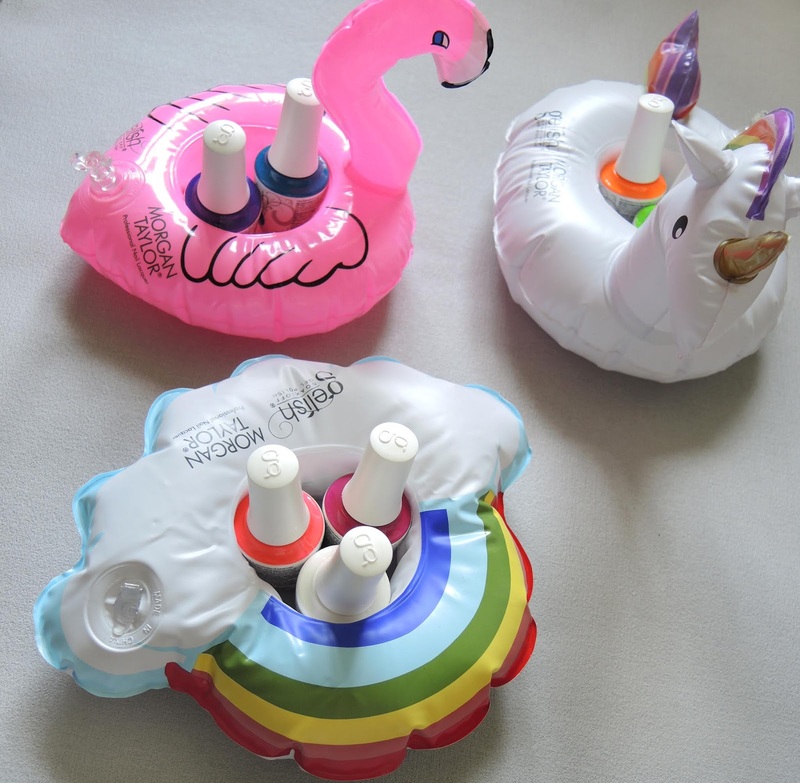 Look at the cute pool floats the collection came with! First up is Feeling Swim-sical. 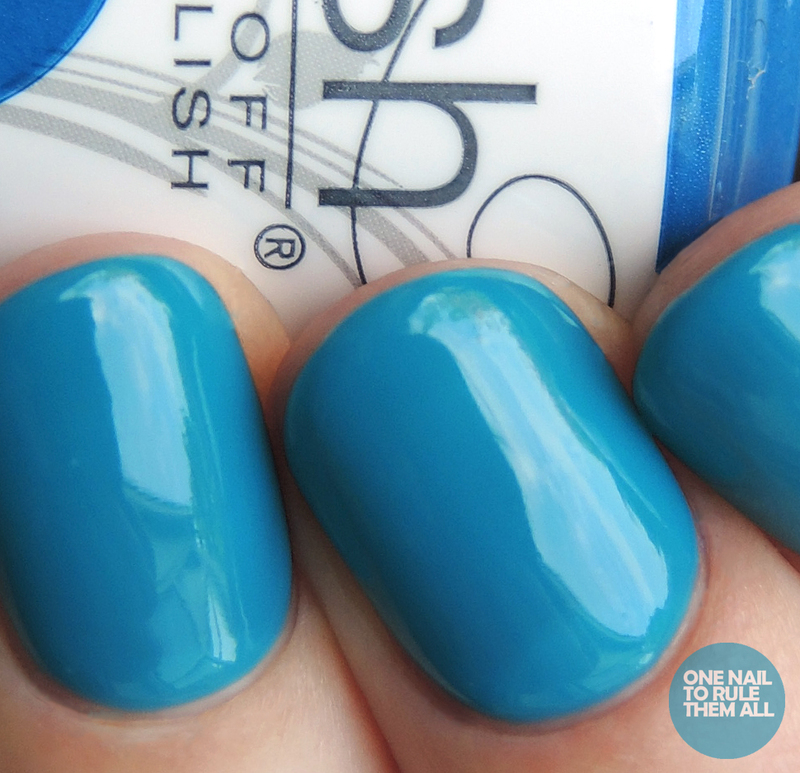 * This is a beautiful pool blue, it was quite jelly-like and may even work for a pond manicure at a push. If you don't mind some transparency 3 coats would be enough, this is 4 coats, and it still was not fully opaque. I assumed this would be more of a blue than it was, I found it to be quite jade coloured but I really liked that. Flamingo Float* is a great shimmery neon pink, I absolutely love how bright this is, I'd have worn it on my toes for my holiday but because I was going to a wedding it wouldn't have matched my dress. This was 3 coats but you could possibly get away with two. I don't think you'd need to add the cellophane topcoat to this as it's already sparkly enough! 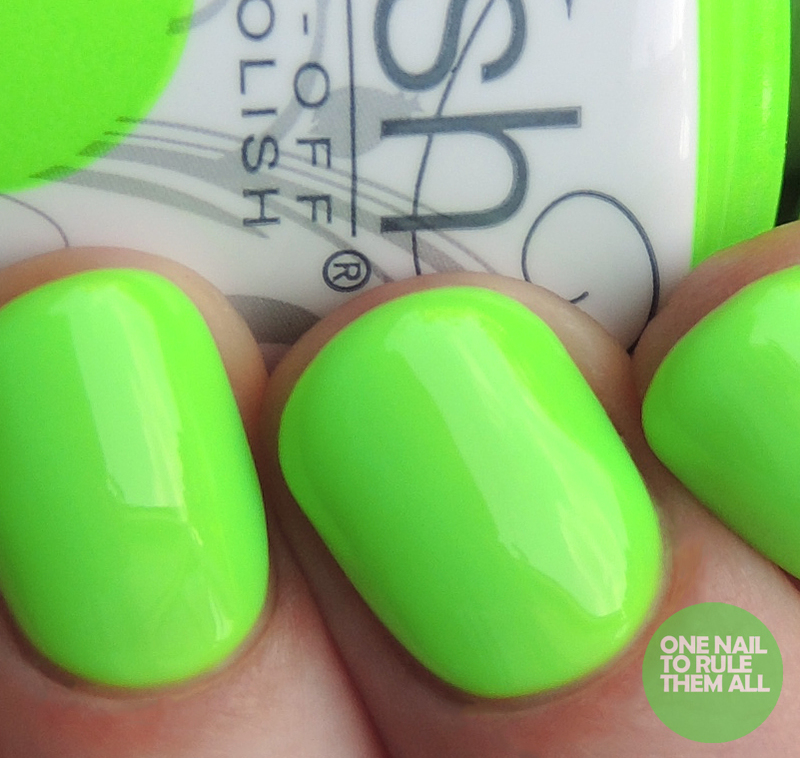 Limónade In The Shade* is a super neon green. I found this to be very thin and I think it would work best layered over white, but once I'd got the opacity I really loved how it looked. This was 5 coats. One Piece or Two? * is a neon purple creme. My camera doesn't do this justice, it's more neon than the photos suggest. This was 3 coats, I thought I could get away with 2 but once I'd done 3 it was clear that it looked better. 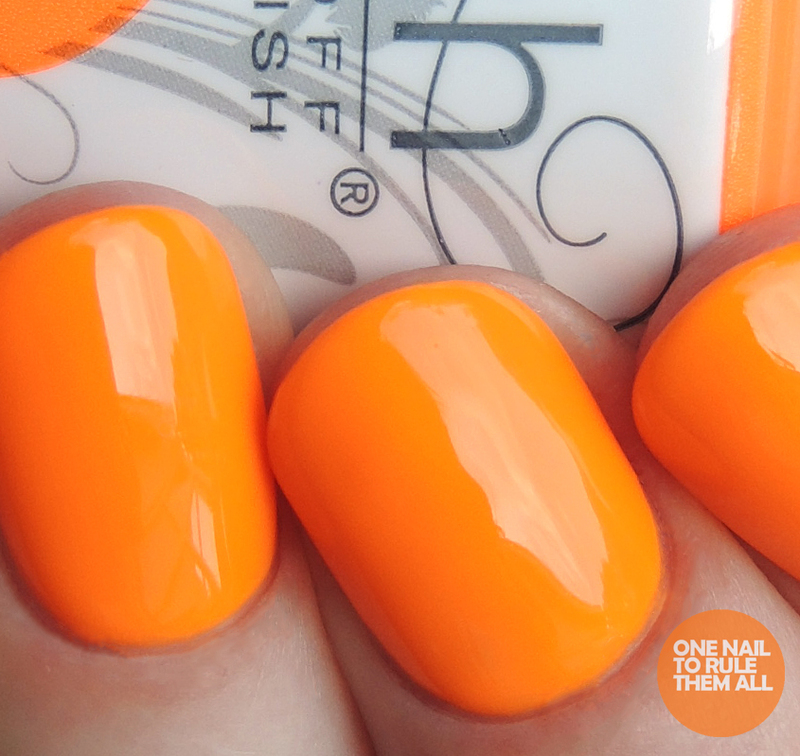 You've Got Tan-gerine Lines* is a bright orange creme, another great summer shade. This was 3 easy coats. Flip Flops & Tube Tops* is described as a 'fuchsia shimmer' which I think sums it up well. 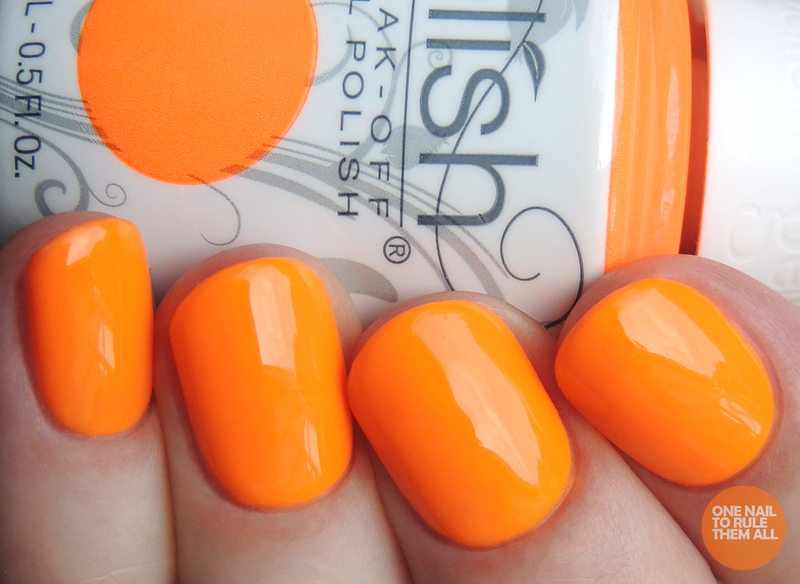 This is such a fun shade, and again would be the perfect shade for my toes (is it just me who loves bright shades on my toes, especially in summer?). This was 4 coats, could perhaps have got away with 3 but there was still a visible nail line. And last but not least is the wonderful Cellophane Coat*, this really transforms the polish I think. I wanted to try it over something slightly different than just darks or pinks so I put it over Limónade In The Shade* and I love that it still works. This was just one easy coat. What do you think? Have you picked up the collection yet? OMG! These colors are so happy. Beautiful swatches, Alice.